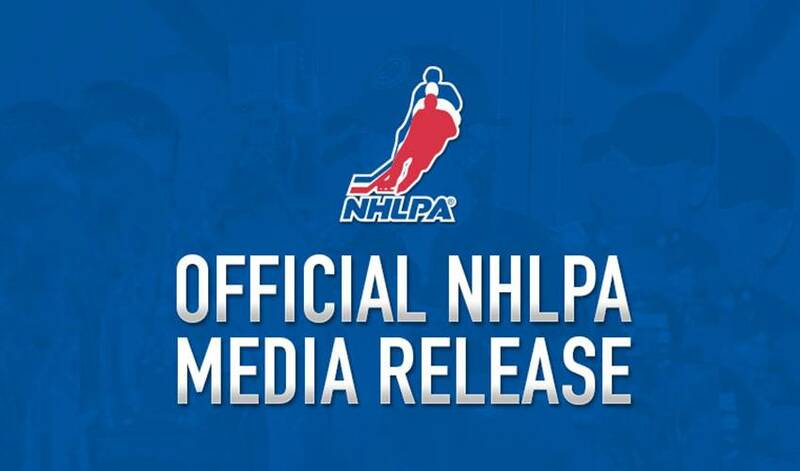 The National Hockey League and the National Hockey League Players’ Association today signed a Memorandum of Understanding reflecting the terms of a new, 10-year Collective Bargaining Agreement. NEW YORK/TORONTO (January 12, 2013) -- The National Hockey League and the National Hockey League Players’ Association today signed a Memorandum of Understanding reflecting the terms of a new, 10-year Collective Bargaining Agreement. Team training camps will open on Sunday, and a 720-game regular-season schedule (48 games per team) will begin on Saturday, January 19. The wide-ranging Agreement includes an economic system under which Hockey Related Revenues (HRR) will be shared 50%-50% between Owners and the Players. The Agreement includes terms that limit the length of individual Player contracts to seven years (eight when a team is re-signing its own Player) and regulates the compensation structure, year-to-year variability and defining minimum value. The new Agreement, the longest in League history, also features a new defined benefit pension plan for the Players; enhanced revenue sharing among the Clubs; creation of a Revenue Sharing Oversight Committee, on which the Union will participate; creation of an Industry Growth Fund, designed to make long-term improvements in the revenue-generating potential of low-grossing Clubs; the ability of Clubs to retain a certain amount of salary in Player trades; a Player playoff prize pool that doubles in size to $13 million in Year 1, rising to $17 million for 2020/21 and 2021/22, and the creation of an Owner-Player Relations Committee – one of several joint initiatives not present in the previous Agreement. The Owner-Player Relations Committee will meet at least twice a year to discuss matters of mutual interest and to consult regularly on how best to continue to grow the game for the mutual benefit of the parties and the fans. Other significant Joint Committees created or retained: Health and Safety, Competition and Broadcasting/Marketing. The NHL/NHLPA International Committee will identify, create and pursue jointly developed International projects and initiatives as well as continuing to manage regular NHL events (i.e., Regular Season and Preseason Games) conducted by the League outside of North America. In addition, the Agreement modifies the Prohibited Substances List to include additional illegal substances (e.g., stimulants, amphetamines, etc.) and contemplates the creation of a committee to study the issue of HGH testing and to make recommendations relative to whether an HGH testing program should be established in the NHL. The Agreement also provides for enhanced drug testing policies and protocols, including with respect to the number, timing and scope of testing.